A stroke, sometimes refered to as a brain attack, occurs when the blood supply to the brain is blocked by a clot or tear in a blood vessel. In an ischemic stroke a blood vessel becomes blocked, usually by a blood clot, and a portion of the brain becomes deprived of oxygen. Ischemic strokes are the most common type of stroke, representing about 87% of all strokes. In one second, 32,000 brain cells die, and in 59 seconds an ischemic stroke will have killed 1.9 million brain cells. A hemorrhagic stroke can occur when an aneurysm, a blood-filled pouch that balloons out from an artery, ruptures, flooding the surrounding tissue with blood. The fatality rate is higher and prognosis poorer for those who experience hemorrhagic strokes. In the United States, about 795,000 people suffer a stroke each year. Someone has a stroke every 40 seconds, and every 4 minutes someone dies from stroke. There are more than 140,000 deaths each year from stroke. Statistics show that about 40% of stroke deaths occur in males and 60% in females. Stroke is also the leading cause of serious long-term disability in the United States. There are over 7 million stroke survivors live in United States and two-thirds of them are currently disabled. Around 25% of people who recover their first stroke will have another within 5 years. Strokes can and do occur at ANY age. Nearly one quarter of strokes occur under the age of 65. The risk of stroke more than doubles each decade after the age of 55. 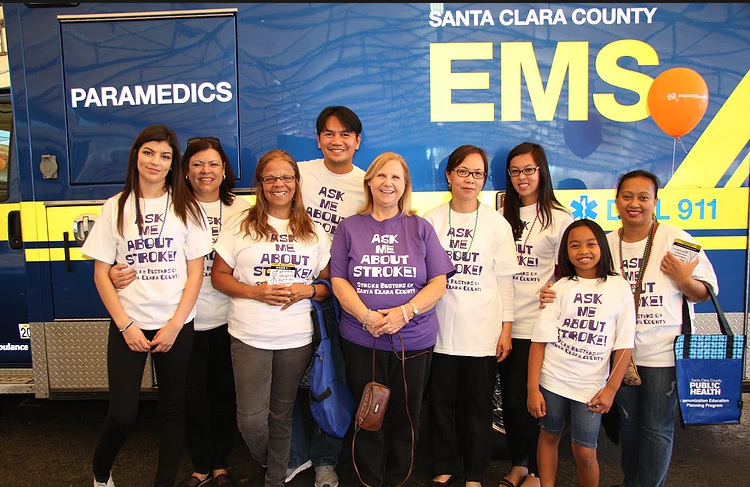 If you or a loved one believe you are having a stroke – ACT FAST & CALL 9-1-1 IMMEDIATELY. Having 3 or more of these risk factors multiplies your risk for Stroke. Please talk to your healthcare provider if you have or notice them. Blood pressure measures the force of blood against artery walls. High blood pressure, also known as hypertension, can damage arteries and put you at risk for stroke as much as 4-fold. High blood pressure promotes plaque formation. Plaque is a waxy material made up of cholesterol and other particles that can build up in artery walls. When there is too much plaque, the arteries can become narrowed and restrict blood flow. Blood pressure can be controlled with exercise, weight loss, dietary changes and medications. Blood pressure is measured with two numbers, the top is the pressure when the heart is beating (systolic pressure), and the lower number is the pressure when the heart is resting between beats (diastolic pressure). A systolic pressure of less than 120 over a diastolic pressure of less than 80 is considered normal for adults. For every 20 mmHG systolic or 10 mmHG diastolic increase in your blood pressure, your risk of stroke doubles. Blood cholesterol is a fatty substance that travels through the bloodstream. When blood cholesterol is high it forms plaque, and the plaque builds up within the walls of arteries which can narrow the opening for blood flow. Over time, this can lead to stroke. Your health care provider can talk to you about controlling your cholesterol levels. Smoking is the leading preventable risk factor for stroke. Smokers are four times more likely to have a stroke than non-smokers. Exposure to second-hand smoke may double a non-smoker’s risk. 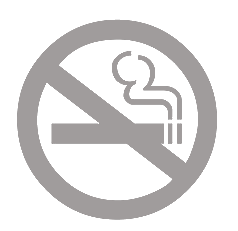 The nicotine and carbon monoxide in tobacco smoke reduce the amount of oxygen in your blood. Smoking also damages blood vessel walls, making clots more likely to form. 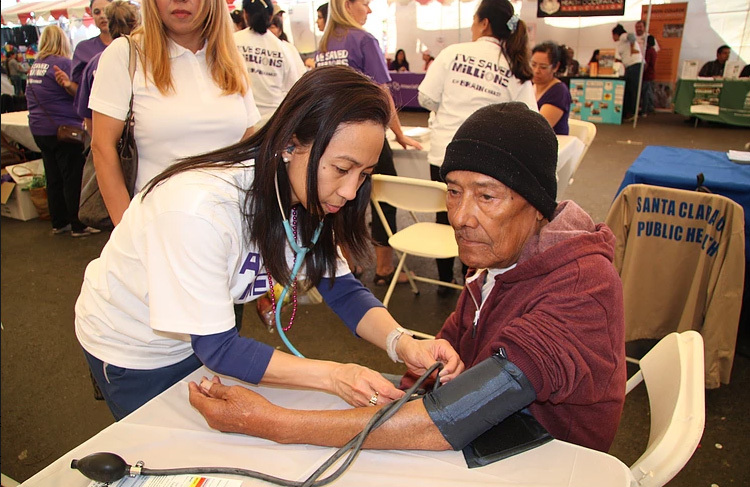 In addition to watching for stroke warning signs, here are some steps you can take to understand and minimize your stroke risk factors that can be controlled. Work Closely with Your Health Care Professional to control high blood pressure, high cholesterol, atrial fibrillation and diabetes. Your doctor may recommend different medications or procedures to help prevent another stroke. For ischemic strokes, these may include interventions to improve blood flow in arteries that are clogged. If any medication is prescribed, you will need to take them exactly as directed and watch for any side effects that may occur. If You Smoke Cigarettes, Stop Smoking. The risk of ischemic stroke in current smokers is double that of nonsmokers. Consume Alcohol Sensibly. Regular heavy drinking can raise blood pressure. Eat a Healthy Diet. This includes decreasing or eliminating your intake of saturated and trans fats, lowering sodium intake to about 2000mg daily, and eating more fruits and vegetables. Most processed and fast foods should be avoided. Take Time to Enjoy Life and Lower Stress Levels. Although a certain amount of stress is unavoidable, studies suggest that stress contributes to high blood pressure. 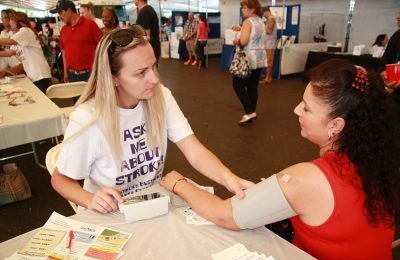 By managing stress with exercise, relaxation techniques and counseling, if needed, stroke risk may be reduced. More than half of all strokes are caused by uncontrolled hypertension, making it the most important risk factor to control. Medical treatments and medications may be used to control high blood pressure and/or manage atrial fibrillation among high-risk patients. Medications such as such as aspirin and warfarin interfere with the blood’s ability to clot and can play an important role in preventing stroke. Antihypertensives are medications that specifically treat high blood pressure by opening the blood vessels, decreasing blood volume or decreasing the rate and/or force of heart contraction. When arteries show plaque buildup or blockage, medical procedures such as Carotid Endarterectomy, also called carotid artery surgery, is a procedure in which blood vessel blockage (fatty plaque) is surgically removed from the carotid artery. Angioplasty/Stents Doctors sometimes use balloon angioplasty and implantable steel screens called stents to treat cardiovascular disease and help open up the blocked blood vessel.